XSiteAbility, Complete Adult Website Solutions. Subscription & Sales Website of Your Own. No Web Design or Coding Skills Needed. Reach All Customers on All Devices. Earn Up to 80% On Net Sales! No Hidden Fees. No Contracts to Sign. Your customers aren't just sitting in front of PCs. They're on tablets and smartphones. They're relaxing in TV rooms and on they're the go. XSiteAbility makes sure your content can be bought and consumed wherever your customers want it. The tried-and-true, classic , adult revenue generator. The first and most dependable form of adult website sales vehicle, Download subscriptions breed customer loyalty and compounding recurring income. Customers subscribe to your site, download and enjoy your content at their leisure, then remain subscribers to consume the next update. Customers build their own libraries of content that can be viewed whether their device is online or not. Customers can also view and enjoy your content as they download more content. When your customers have that itch that needs to be scratched, this option allows then to most quickly satisfy their need. 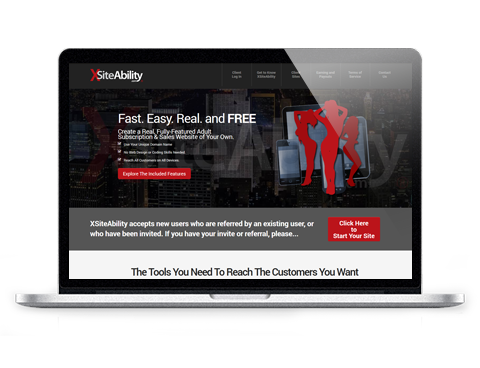 XSiteAbility Download-Only Subscriptions is a tool available for you to use right on your site either by itself or in concert with any or all of the other XSiteAbility sales avenues. . Your customers browse your content on your and choose individual video(s) or photoset(s) to purchase in one transaction to download and enjoy at their leisure. Your customer incurs no recurring charges, and they get exactly the content they want in transaction one big or small transaction. XSiteAbility Specific Download Sales is available for you to use right on your site either by itself or in concert with any or all of the other XSiteAbility sales avenues. Similar to a traditional adult download subscription site, an XSiteAbility Pay-Per-View Subscription site allows you to build the cornerstone of a successful adult website, recurring subscription sales, without offering any of your content for download. Your customers pay a monthly price and, as long as they have an internet connection, they can stream your content as much as they like, but cannot download it. If they should cancel their subscription their access to your content ceases because they will not have had any opportunity to download it. Your customers stay with you, and rebill for you, to have complete, access to your library, but no copy of it for themselves. XSiteAbility Streaming-Only Subscriptions is a tool available for you to use right on your site either by itself or in concert with any or all of the other XSiteAbility sales avenues. .
Pay-Per-View allows your customers to pay one price to instantly view via streaming a single video of their choice, a single time, on any device they choose. There is no downloading necessary for your on-the-go customers to enjoy your content. XSiteAbility Pay-Per-View is compatible with any browser, anywhere with an internet connection. XSiteAbility Pay-Per-View is available for you to use right on your site either by itself or in concert with any or all of the other XSiteAbility sales avenues. Stream to Any Browser. Anywhere. Tablets. Smartphones. Laptops. Desktops. Living Rooms. In our continuing effort to remain on the forefront of adult content marketing, XSiteAbility is pleased to announce the addition of a new tool to help you penetrate into new markets, attract new customers and expand your sales potential. Video Streaming to Any Browser. Anywhere. With Video Streaming, your content can be made available on any device with a web browser. Customers utilizing Tablets, Smartphones, Big-Screen TVs, Laptops, Desktops and virtually all other Portable Media Players running almost any operating system (Windows, iOS, Android, OSX and more) will now have the ability to stream your content directly to their device without the need to download the entire file. XSiteAbility Streaming is available for you to use right on your site either by itself or in concert with any or all of the other XSiteAbility sales avenues. When your customers want something tangible, or a copy of your content on physical media, you can sell it to them quickly and easily with XSiteAbility Retail. Whether it is a DVD or prop from a video or other memento they desire, like an autographed photo, you can get it into their hands, and their money into your pocket. No waiting for the order to get mailed in or waiting for checks to clear. Simply create an update as you would any other content update, enter a few bits of information and soon you’re selling your wares to your fans. Your customers get the instant gratification that they know the item is on the way, without having to spend extra time waiting to mail in a payment. XSiteAbility Retail is a tool available for you to use right on your site either by itself or in concert with any or all of the other XSiteAbility sales avenues. XSiteAbility Light was designed for those that have an existing web presence. By paring down duplicated functionality, such as contact pages, links pages, home pages, and integrating the design of your existing site, blog or portfolio, XSiteAbility Light takes your existing audience and gives them an outlet to purchase your media in a manner that YOU control. By adding an appropriate link on your existing menu, you instantly transform your informational site into a full-featured e-commerce site. XSiteAbility.com is proud to have a payout structure that is truly progressive. Literally, the more you make, the less we take. Instead of a one-size-fits-all percentage split (currently the industry standard 60/40), we INCREASE YOUR CUT and DECREASE OURS as your net sales grow. No one else in the biz offers this split. 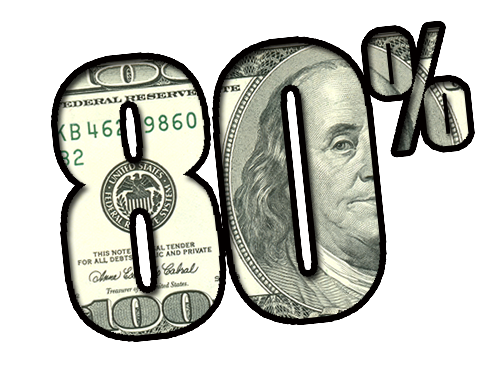 Your earnings per sale can go all the way up to 80% based on your sales volume. You're busy. You are on-the-go all the time. Why should you have to wait to get back to base to get your content into your customers hands?